Kathleen passed away on 02/16/18, at age 67 in the arms of her husband Robert Bohart and Sister Laurie Keller. She was born in Tacoma WA on 11/11/1950. She was preceded in death by her mother Kathryn Leingang, and father John B Keller, her sisters, Donna Bartell, Dorothy Ozanich and Elaine Hulscher and brother Daniel Keller. She is survived by her husband Robert Bohart, sister Laurie Keller and brother John Keller. She was a lifelong member of Visitation Church and graduated from St. Leos High School. Kathy was an excellent cook and carried on the tradition of holidays and family dinners. She had a very loving heart and made everyone she met feel part of our family. She enjoyed dancing, singing, and playing the piano. She was loved by everyone and will be truly missed by all. 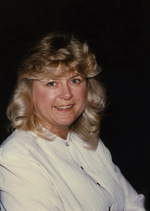 To send flowers to the family of Kathleen B Bohart (Keller), please visit our Heartfelt Sympathies Store.